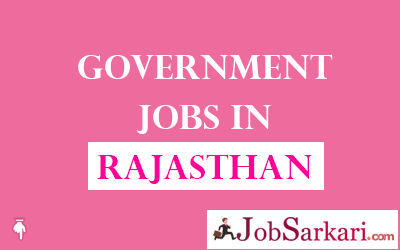 Government Jobs in Rajasthan page will help you to find latest government jobs by Rajasthan state government. Here we have given a table that has all the current govt job openings with information like last date, post details, eligibility and number of posts. And if you wish to get more information like Important Dates, How to apply instructions, Helpline numbers, Useful Links to apply and more. All qualifications vacancies like 10th,12th, Graduate or PG will be listed here on this page. We will try to put all efforts to provide genuine and best information for Government Jobs in Rajasthan. If you find this page useful then bookmark Government Jobs in Rajasthan page by pressing CTRL+D or Keep visiting our website Jobsarkari.com on regular basis.